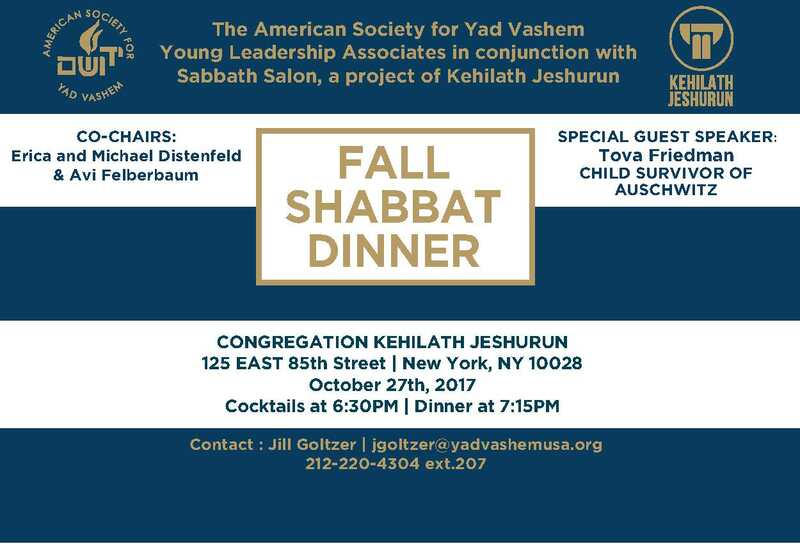 Join the American Society for Yad Vashem’s Young Leadership Associates (YLA) in conjunction with the KJ Sabbath Salon for a memorable Shabbat dinner experience. Over a traditional Shabbat meal, we will hear from child Holocaust survivor Tova Friedman. Tova Friedman is one of the youngest survivors of the Auschwitz concentration camp and is known for her captivating storytelling. Additional sponsorship opportunities and ticket packages available.